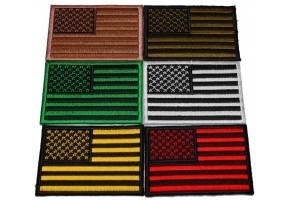 4 inch version of our monochrome American flag patch. 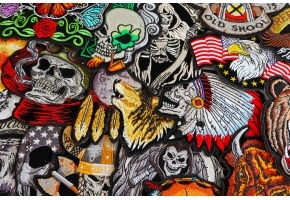 Embroidered in just black and white the patch is popular amongst those who prefer monotone colors. 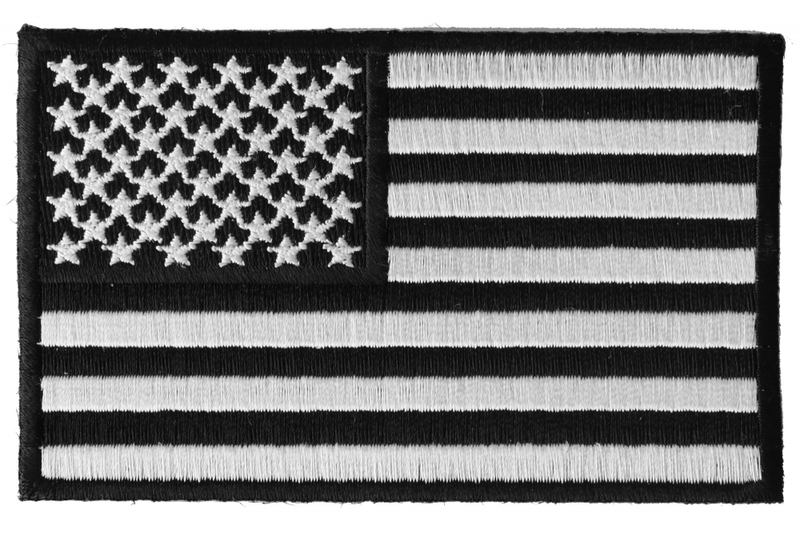 The Black and White 4 inch flag also comes in reversed version as well. 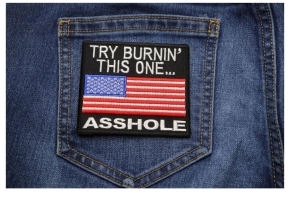 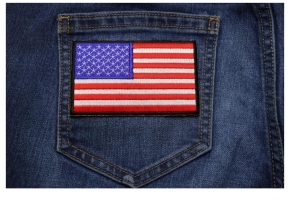 Check out our US flag patches category for different size American flags. 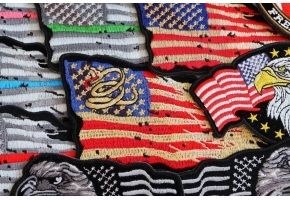 We have a 3 inch wide selection of patches as well.